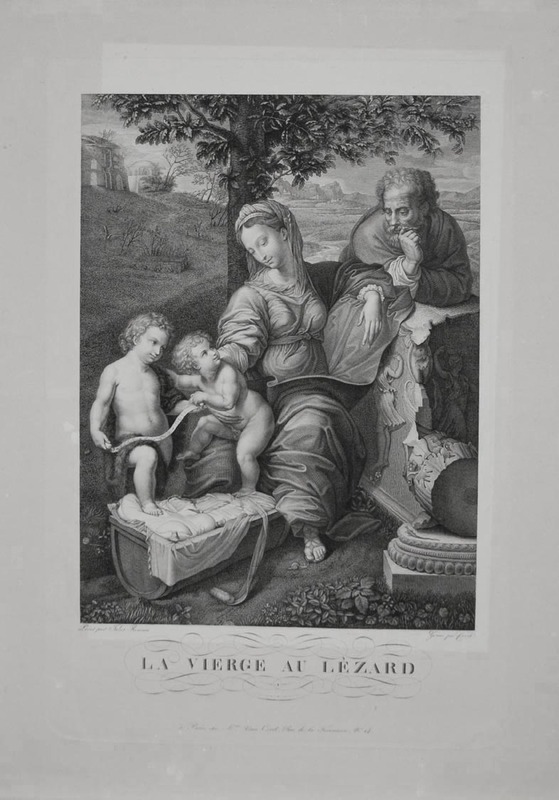 Engraving after Giulio Romano; Holy Family "with the Lizard" Prov. Gray: 753; Thies: The picture is in the Gallery of the Pitti palace in Florence. Passavant, Rafael, 11.No.230,Copy a.A repetiton of Raphael's Holy Family "under the Oak Tree" in the Madrid Gallery. Passavant,II.230.